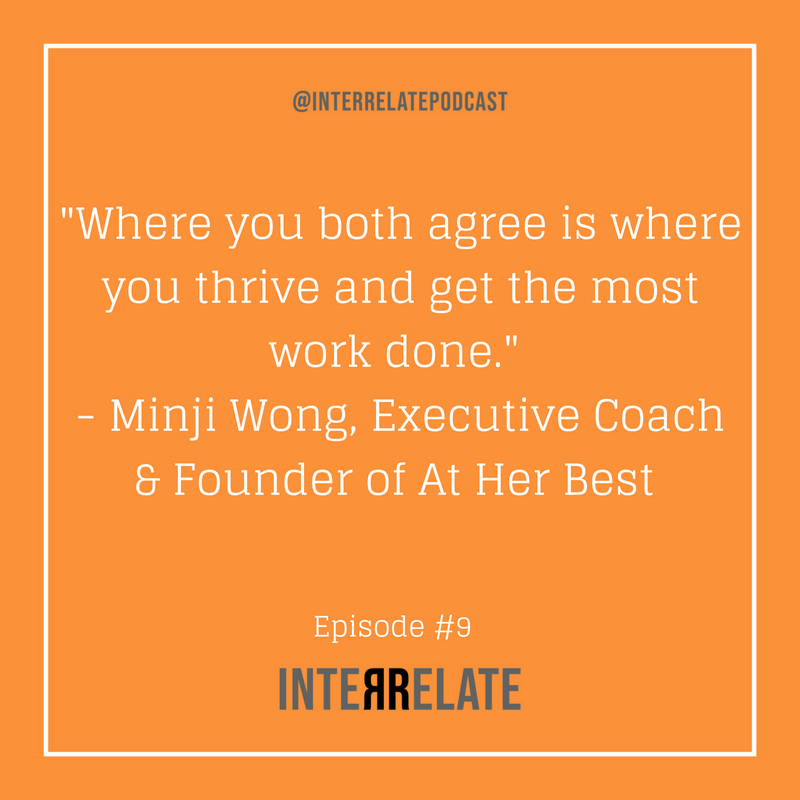 In Episode 9 of Interrelate, Sarah Woehler talks to Minji Wong, an Executive Coach and the founder of At Her Best, a practice dedicated to empowering leaders to thrive in their careers. Minji has 13 years of Fortune 500 experience including working in organizational development at Facebook, eBay, and Walmart, empowering leaders to realize their full potential. Listen on as Minji and Sarah talk about how to recognize and manage emotions in the workplace and beyond, how to communicate more effectively with others, and Minji’s most powerful career advice for work-life balance.